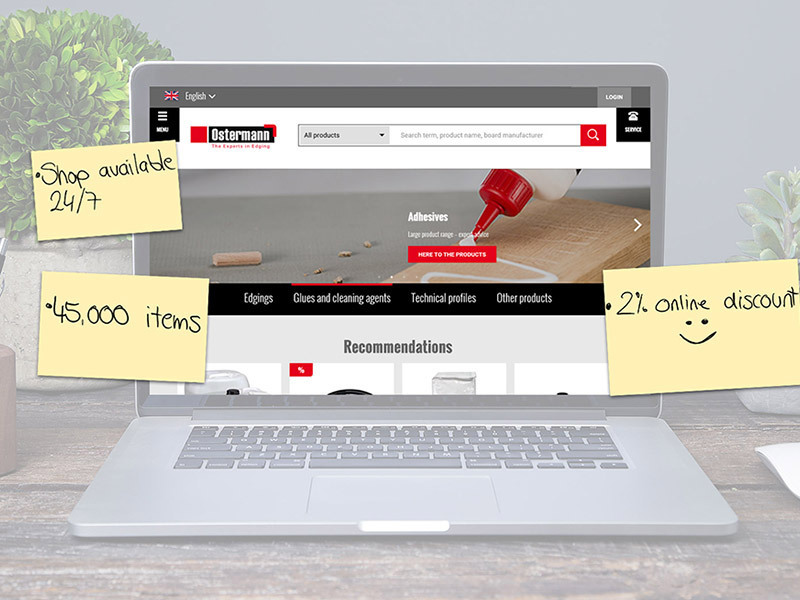 Explore the features of the Ostermann Online Shop. Your shopping cart is visible on any device and on the app. 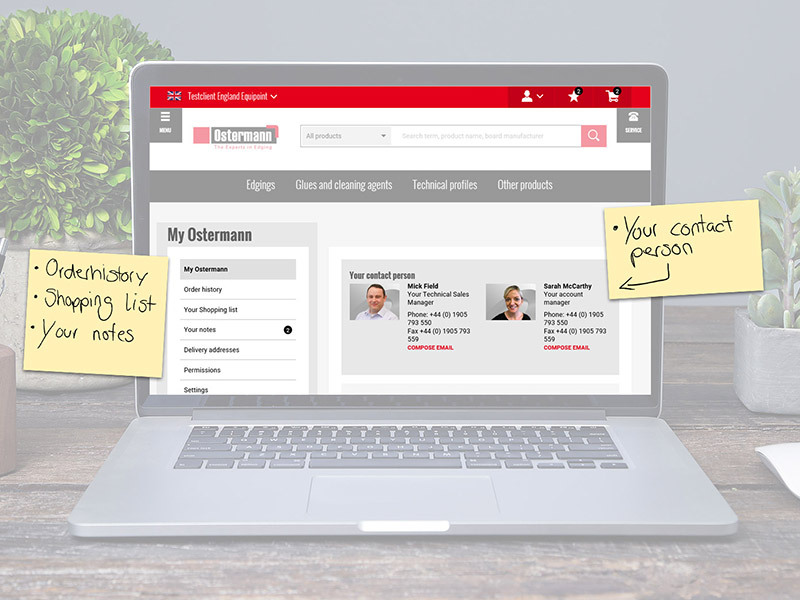 Your personal contact person with the corresponding contact options can be found on the "My Ostermann" home page. Always keep track of your personal settings. In the order history, you can view your previous orders. 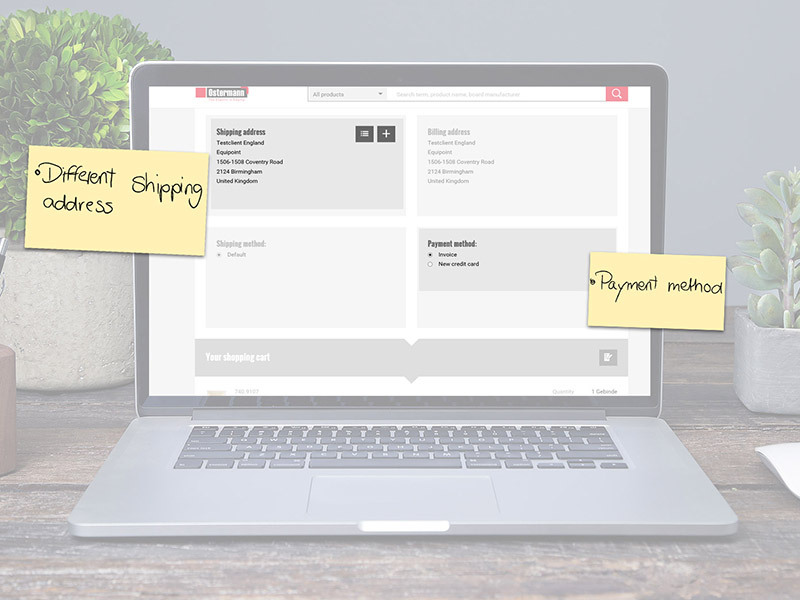 The shopping lists can be used as templates for repeat orders. Simply place interesting products on the wish list. The online shop is open 24 hours a day, 7 days a week. With every order you receive a 2% online discount. Your purchase prices are calculated immediately. The availability of the goods is displayed in real time. In addition to the item description, you will also find matching accessories and downloads with further information. Our joinery hints are the tips and tricks of joiners for joiners. You will find product recommendations and application hints in animated form in the OstermannTV area. Orders can very easily be customised. Enter individual order numbers to directly identify the goods when you receive them. The 2% online discount is deducted directly in the shopping cart. Check out our monthly promotions and newsletter. Using coupon codes, you can make additional savings - simply cash them in in the shopping cart. 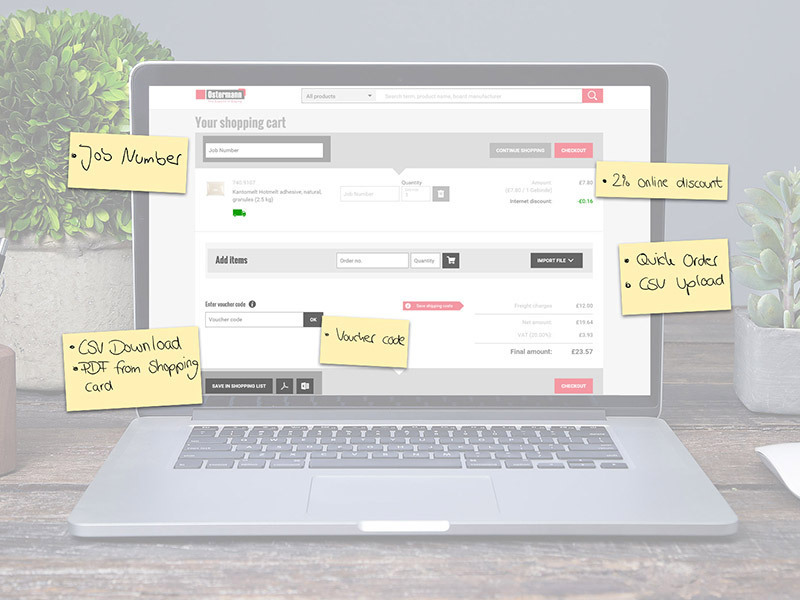 For a quicker ordering process, add items directly to the shopping cart via the item number. Export items, i.e. 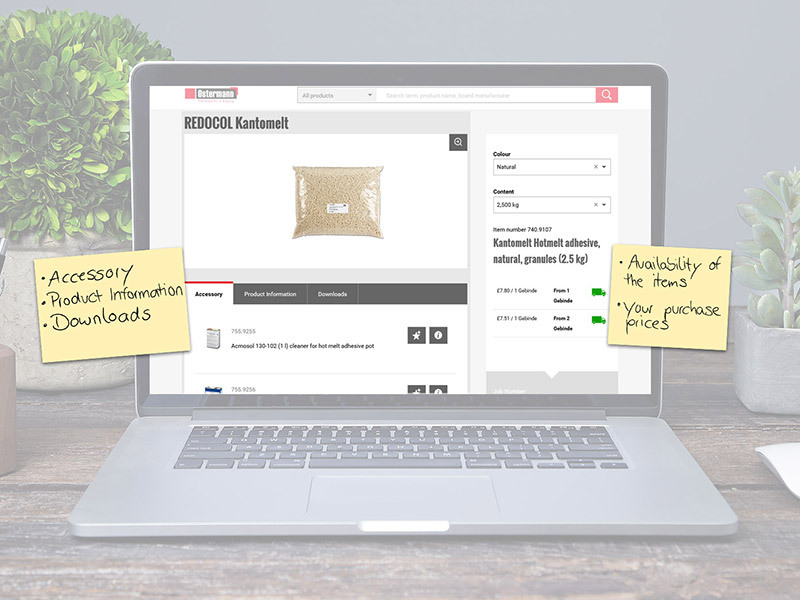 from your Merchandise Management System or an Excel table in CSV format and upload them easily. 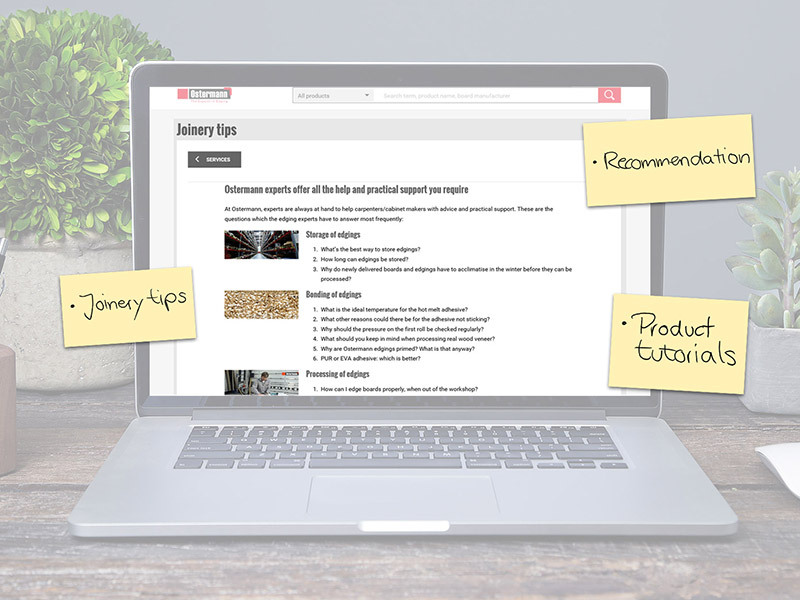 Create PDF documents of your shopping carts. Use the various payment options, account, PayPal and credit card. Want to receive delivery directly on-site? Simply enter a different delivery address. All these features can also be found in the Ostermann app.